Flowers make any space more beautiful! They’re colourful, decorative and can really brighten up a room, but how do you take care of them? Now that you have your very own Willyfresh Plant, the next question is 'how do you keep them healthy?' This may seem like quite the task, but have no fear – we are here to help! With a little preparation and some care, you can keep your flowers looking beautiful. A little sunlight, a bit of water and the right temperatures go a long way. Check out each page in this Care Tips section, to find detailed care information for each specific plant type that Willyfresh Plants has to offer. 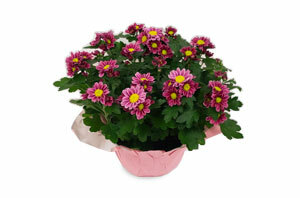 Avoid letting the soil dry out in a Chrysanthemum. They require watering every day, to every other day, depending on their temperature and light level. 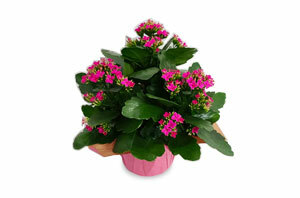 Fleurettes prefer bright, indirect sunlight. Avoid direct afternoon light which can be too intense for a Fleurette, and burn the flowers. 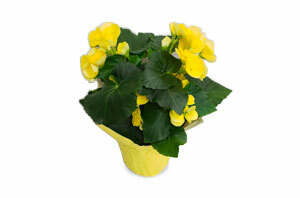 Give your Begonia plenty of bright light while it's blooming. Best to keep it out of direct sunlight though, which can scorch its leaves. Kalanchoes need lots of light, preferably a south-facing window in winter and bright indirect light (or east/west window) in summer!